It’s become more and more popular over the last few years. People are making bolder and bolder choices when it comes to their flooring, but could you do the same? Trends in patterned flooring are really taking off. 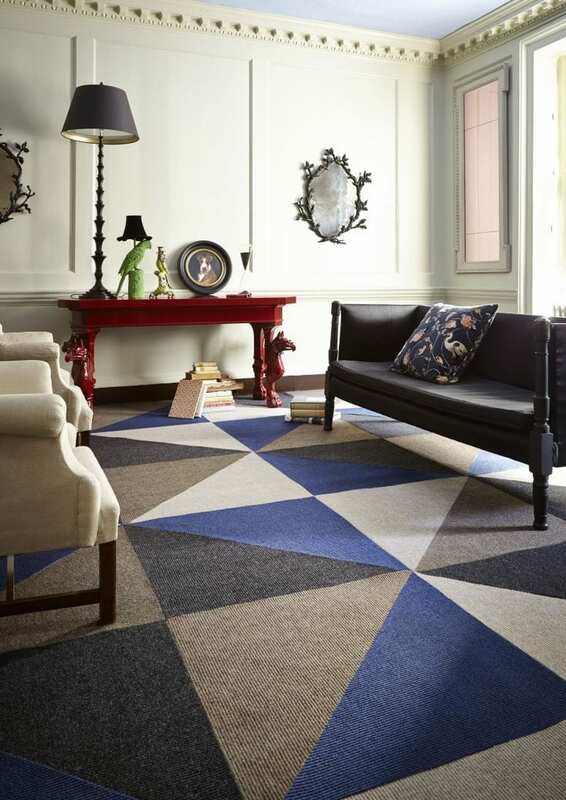 Whether it’s for stripes on your stair carpets or a pattern on your vinyl kitchen floor, many of these looks are appearing in more and more homes. 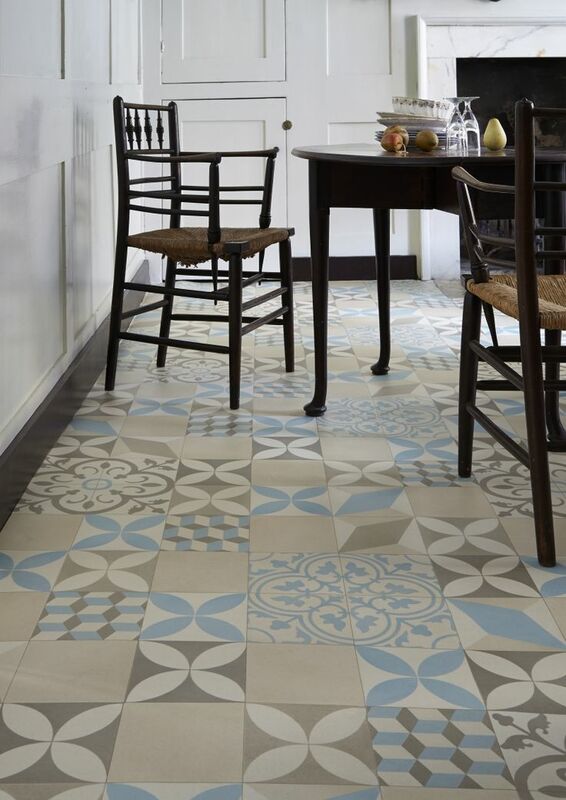 But could you be braver and really go for it when it comes to decorating your floors? It’s been a few years since we added any new carpets so we still have neutral wool flooring, but I’m very tempted to take the floor style up a notch or two and go for something more colourful. Monochrome is still on everyone’s radar as we come into the A/W 14 season. You can add a splash of yellow or orange to really jazz it up if you want to. So how about this black polka dot carpet for a hallway. Admittedly it’s great for a family home as it won’t show the dirt, but think carefully before purchasing. It shows every spec of thread. Try out a dark coloured rug before you buy, and fall in love with your vacuum. Again, another monochrome scheme, but this one seems more appealing possibly because it’s using more white. Paired with the very on trend geometric, graphic print this is fashionable but won’t date. A great investment for your kitchen, but why not think about it for other rooms too. It’s warm underfoot and very easy to clean so why not go for it in the dining area or even the kids’ rooms? The cool, calming colour combination here is perfect for any home. If you’re not brave enough to do something like this in a larger room, give it a go in a downstairs cloakroom or an en-suite if you have one. Build up the pattern and design yourself and suit it to the space you’re decorating. This is a wonderful way to inject some interest into a room if you’re painting simple plain walls. Wow! My eye was instantly drawn to this when I spotted it. Could you do something like this? It’s a fabulously creative way of adding a bold statement into any room, and what a focal point. It certainly sets the tone for the rest of the decor, and your guests won’t forget your style in a hurry. 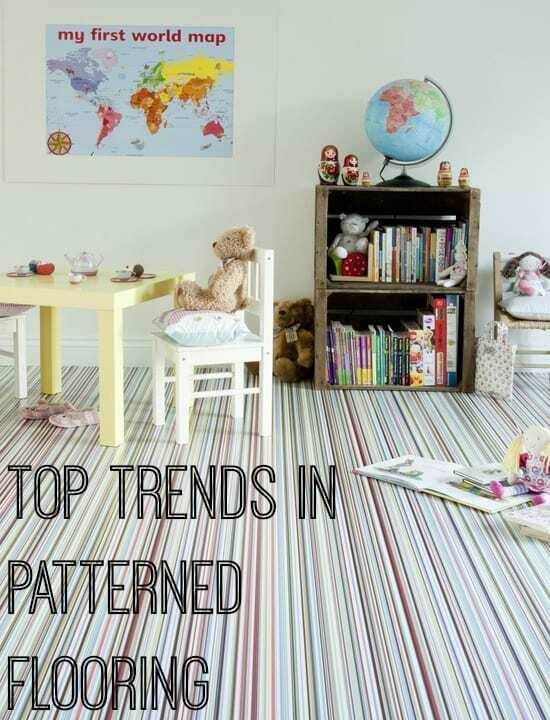 Don’t forget the kids when you’re giving your floor a makeover, and bold stripes are a great, fun way of decorating a child’s bedroom or a playroom. Using vinyl like this makes it hygienic too, and great for children with allergies and asthma. Not so great when you’re hunting lego or hama beads on the floor though! Are you inspired by these trends? I’m particularly loving the colourful vinyls that are around. If you are too, check out the vinyl collection from the Carpetright website where I found these ideas. We had a striped carpet on our stairs in the last house. I loved it! Glad to hear you say that, I quite fancy that myself. I’m wondering if it will date quickly though. Mmmm, food for thought! I really like the way the monochrome schemes look, especially the geometric vinyl design. I haven’t seen too many floors like this but they look very good!